Very excited to be participating in the first ever NatGeo student programs to Cuba. I’ll be starting out with the first group toward the end of their program in the province of Santa Clara, a few hours east of the capital, and then joining the second group for the beginning of their program in Havana. 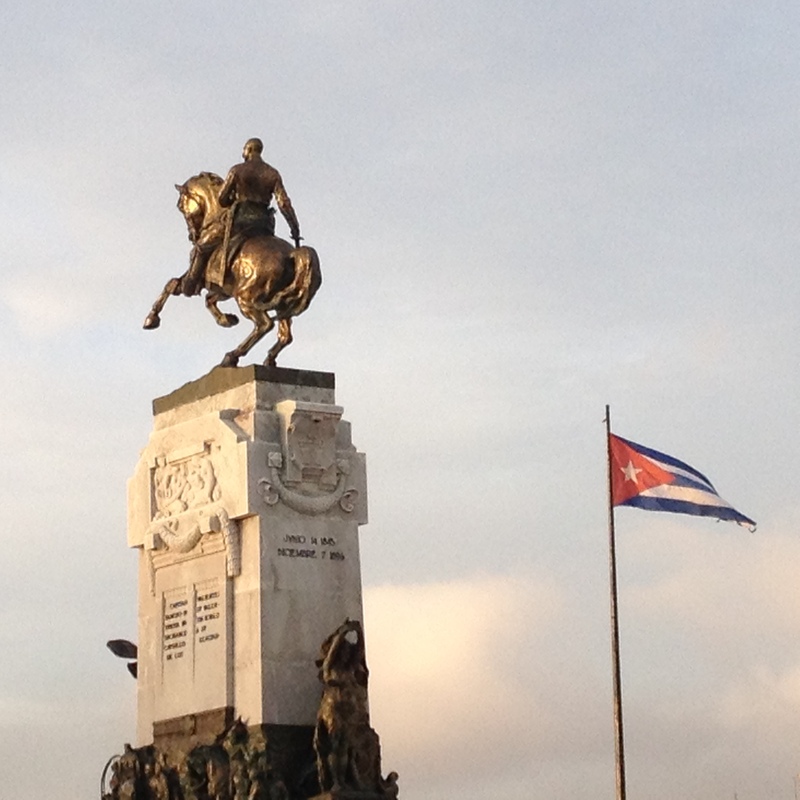 Traveling to Cuba, by now, feels something akin to going home for me. It’s been a few months, so I’m looking forward to checking in on the evolving situation! I’m also excited to be traveling with student groups, because leading student groups is how I spent most of my early career in educational travel. I relish the sense of adventure that usually arises within such groups—and in my experience NatGeo students are an exceptionally positive, creative, and intellectually curious bunch. It will be hot this time of year, but that’s nothing to worry about, as we’ll be on an island surrounded by crystalline blue water! Hey everybody, recent changes in US law now make it possible for individuals to travel to Cuba without signing on with a tour group. This is an exciting development because it can now be done more affordably than ever, at your own pace, and according to your own interests. You DO need to make arrangements in advance, however—and in order to avoid falling into the well-grooved touristic route it’s a very good idea to seek expert advice. And, well, that’s where I come in! If you’ve been meaning to get to Cuba, but don’t like the idea of being on a tour group and/or don’t want to spend a fortune doing it, click here to read all about letting me help you up a customized independent trip. Thrilled to be giving this talk at the Brattleboro Museum and Art Center, next Thursday, September 3, at 7pm. If you’re in the neighborhood, I’d love to see you there! A Playground for Empire: Historical Perspectives on Cuba and the U.S.A. Spain lost Cuba in 1898, after nearly 400 years of colonial rule. The Cuban Revolution of 1959 is one of the great underdog stories in modern history, in which a tiny band of young rebels prevailed against all odds and despite the ambivalence of the world superpower only ninety miles to the north. This nationalist Revolution quickly fell under the sway of another world empire, the USSR, and Cuba’s previously close ties with the U.S. were abruptly severed. This visually rich lecture by a long-time observer of the island will highlight recent changes in light of Cuba’s long struggle for sovereignty. If you belong to any nonprofit organization or municipality in Vermont, you can book this talk through the VHC. Link here for instructions, which should be updated with VHC’s new catalog soon. If you’re interested in booking talks on a different subject, please feel free to contact me directly. A new article about the changes on the ground in Cuba, based on observations made during my recent National Geographic Expeditions trip to the island, is up at TravelPulse. Take a look. 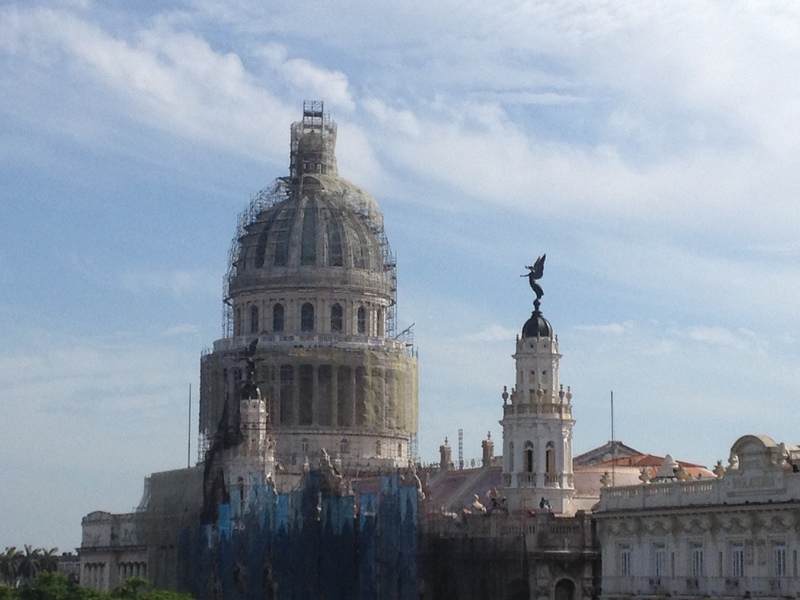 The Capitolio swathed in scaffolding. Interested to see the progress . 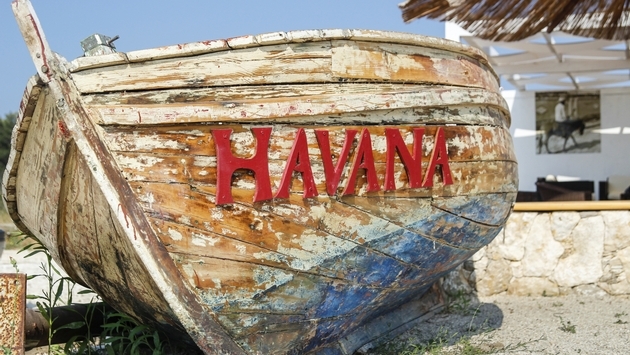 . .
After an eight month absence, I’m heading back to Havana. Much has happened in the intervening time, and it will be fascinating to see how these events are reflected in the reality on the ground. Whatever the case, Cuba is always an engaging and exciting place to be, so I’m looking forward to the trip. I’ll be accompanying a National Geographic group, where my duties include, among other things, delivering a three-part lecture series: on Spanish colonial Cuba and the historic roots of the U.S.-Cuba relationship; on 20th century Cuba and the triumph of Fidel Castro’s Revolution; and on Hemingway’s three decades in Cuba. The group will spend time in Havana, Cienfuegos, Trinidad, and various interesting points in between, meeting with scores of wonderful Cubans, including many new friends and some old friends and contacts! If you’re reading this and find yourself yearning to travel to Cuba to see what all the fuss is about, don’t hesitate to get in touch. I’ve got several affordable private trips in the works for the fall of 2015 and the late winter/spring of 2016, and the chances are there is still an opening! You are currently browsing entries tagged with cuba at Tim Weed.